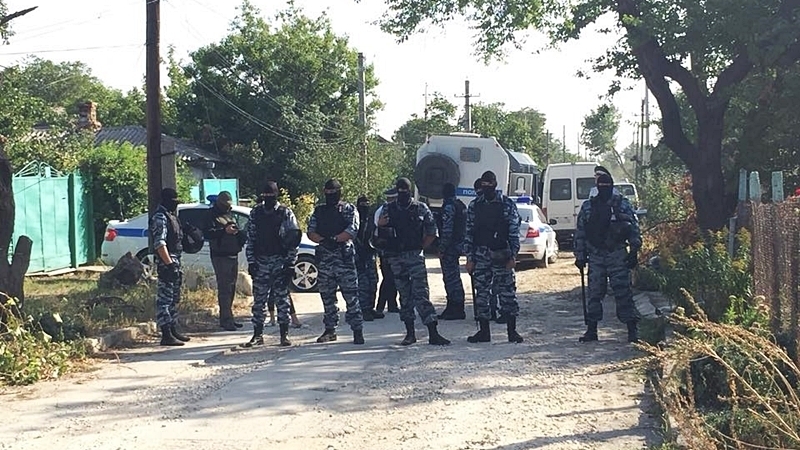 Security forces in the city of Stay Krym in the occupied Crimea searched the house of the Crimean Tatar Zarema Kulamatova, while the woman herself was abducted and taken away in an unknown direction by the unknown people who arrived in two cars. Public association Crimean Solidarity reported on the incident on Facebook. At the time of the abduction, the woman was in the park on public works. “Eyewitnesses report on paddy wagons spotted at the entrance to the city of Stay Krym,” the Crimean Solidarity further informed. Earlier, "Kirovsky District Court" in the occupied Crimea found Zarema Kulametova guilty of "insulting a representative of the authority". The “court” ordered 250 hours of compulsory labor to the Crimean Tatar as well as payment of compensation in the amount of 20 thousand rubles. On January 22, employees of "police" burst into the house of Zarema Kulamatova and demanded explanations in connection with allegedly filed complaint about her insulting the "chief of the Ministry of Internal Affairs of Russia on Kirov region". They themselves had no complaints, therefore, Zarema Kulametova refused to communicate, and the security forces had to leave. However, on 5 February, Kulametova was summoned to the Kirov District Police Department. This time she was informed that she was suspected of insulting a police officer. She allegedly offended the policeman, "threatening his life and health", on the day when her son Giray Kulametov was arrested. Searches in Crimea: Crimean Tatar activist was taken to "police"